The cards today I made for some relatives so that I could send some photos of the girls and write a little message in the card to send with them. For the cards I punched out some hearts in different papers and a label for the sentiment to go on. The cards are very similar except on the first one I used an embossing folder on the background and used the Basic Grey Lemonade papers on it. I stuck the hearts down before putting it through the embossing folder so it emboss the hearts too. 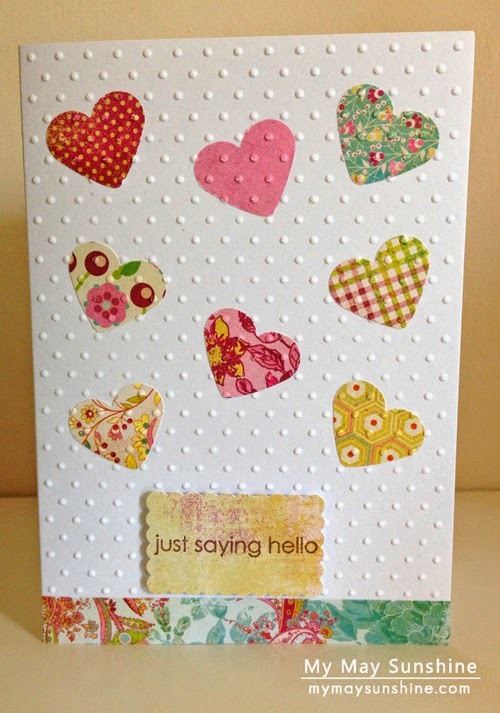 Paper – Basic Grey Lemonade | Stamp – Hero Arts All Occasions | Heart and label punch – Hobbycraft | Embossing folder – Cuttlebug Swiss Dots. The second card I used the My Minds Eye The Sweetest Thing papers. Love the colours in these patterned papers. I left the background plain on this one. I decided to use the sentiment from the Hero Arts All Occasions stamps rather than just leaving the card plain. 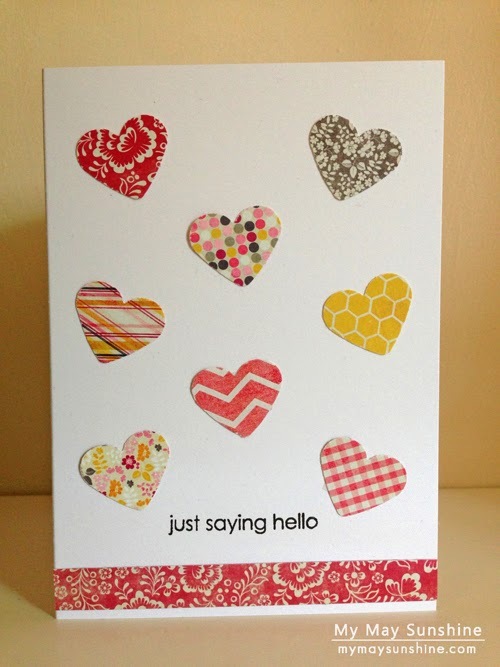 Paper – My Minds Eye The Sweetest Thing | Stamp – Hero Arts All Occasions | Heart and label punch – Hobbycraft. I tend to make mainly female birthday cards usually so I am hoping to make more of a variety of cards to add to my stash and show on the blog.